There are a number of organizations at Texas A&M geared towards on-going campus, community, or global service. However, if one-time or standalone service events are your preference, we’ve got those, too. Check out the spotlighted events below to find a worthwhile investment of your time. If you can’t find the service opportunity you’re looking for, contact our Leadership and Service Center at (979) 845-4878. Aggies serve. It’s what we do. AggieServe is an online resource established to bring students, non-profit organizations, and community agencies together for a common purpose: to serve the needs of Bryan/College Station community. The opportunities listed on AggieServe are provided by our community partners and can range from youth mentoring organizations, senior citizen facilities, environmental groups, museums, community revitalization, cultural art endeavors, and everything between. “Service” can mean different things to different people, so these definitions might help if you see them on the site. Now, go forth and serve! A form of experiential education that includes reflection about your experiences. Giving your time freely to assist others. Service experiences that are integrated into your academic curriculum and use reflection to help learn the course content. Volunteering in an area of interest, not necessarily related to your academic curriculum, but including facilitated reflection and evaluation. Like to serve but prefer to do things face-to-face? Check out the Volunteer Opportunities Fair (VOF) which gives you time to talk with many different community agencies who are looking for volunteers. The VOF is held on campus each fall. CARPOOL is a student-run non-profit organization serving the Bryan/College Station community with free rides home every Thursday, Friday, and Saturday night from 10pm to 3am during the Spring and Fall semesters at Texas A&M University. It does not matter if you are a student or not, Aggie or not, or even intoxicated or not. If you live or are staying in the area and need a free, safe, and fun nonjudgmental ride home, be sure to give us a call! The 12th Can is a student-run food pantry located at Texas A&M to serve all students, faculty, and staff in need of assistance. The 12th Can is affiliated with Brazos Valley Food Bank as a program partner, and is a committee under the Student Government Association. 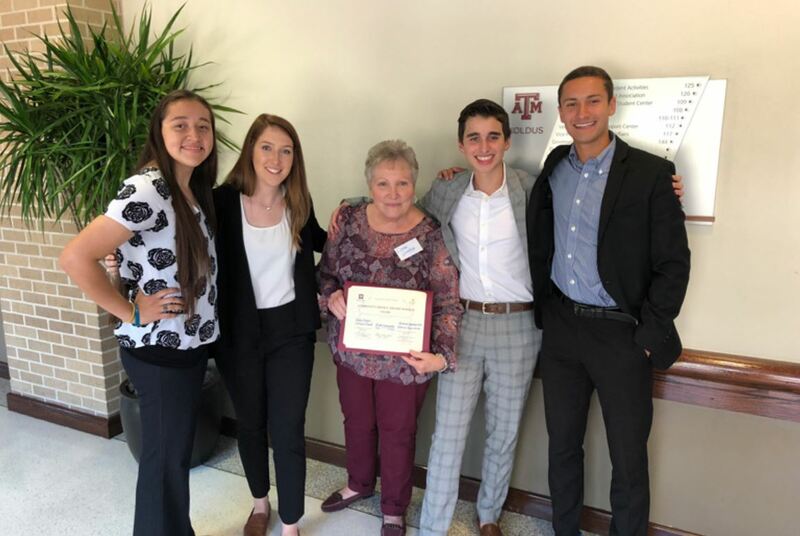 Their goal is to eliminate hunger at Texas A&M, bring awareness to food insecurity in college communities, and show others the power of the Aggie spirit. The Big Event, winner of the 2015 Governor’s Higher Education Community Impact Award, provides the students of Texas A&M University with the opportunity to say “Thank You” to the community of Bryan/College Station for their continued support throughout the years. With over 20,000 students volunteering to complete almost 2,000 jobs; performing tasks that range from painting, to yard work, and to cleaning, The Big Event is a unifying experience for all. Already the largest one-day, student-run service project in the nation, The Big Event has expanded to 110 other schools across the nation and now to international schools in Spain, Australia, Germany, Pakistan & Italy. The Big Event Committee is responsible for planning and organizing all events surrounding this day, allowing students to work with residents in their community. The Community Engagement & Impact Summit acknowledges Texas A&M students and faculty who are dedicated to the Aggie Core Value of Selfless Service, highlighting efforts that have made a lasting impact on the community including the Margaret Rudder Community Service Award, Hunger-Free Texas project, and the Service-Learning Faculty Fellow Program.